Andre Williams - The Allen Cullen Scholarship Winner! Andre Williams – The Allen Cullen Scholarship Winner! 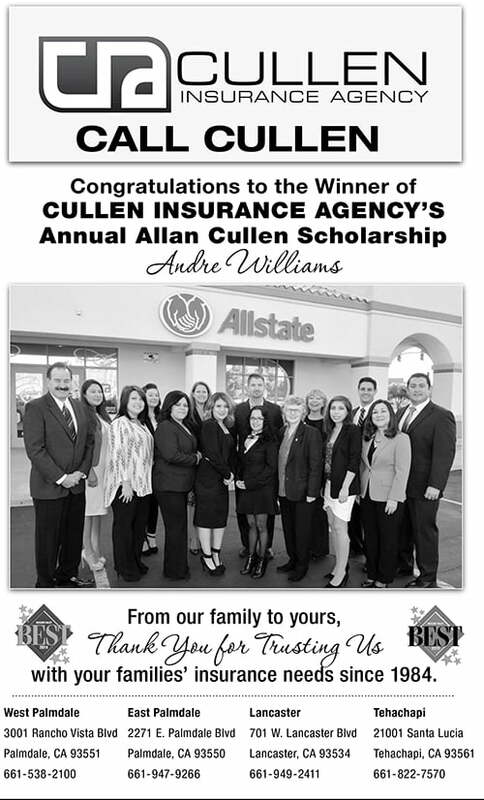 Over here at Cullen Insurance Agency, we’re happy to announce we have found a new, young, and brilliant mind to take home the annual Allen Cullen Scholarship. Andre Williams, is a bright young man, whom we are proud to give this prestigious award! We can’t wait to see what Andre does in the world! Congratulations!